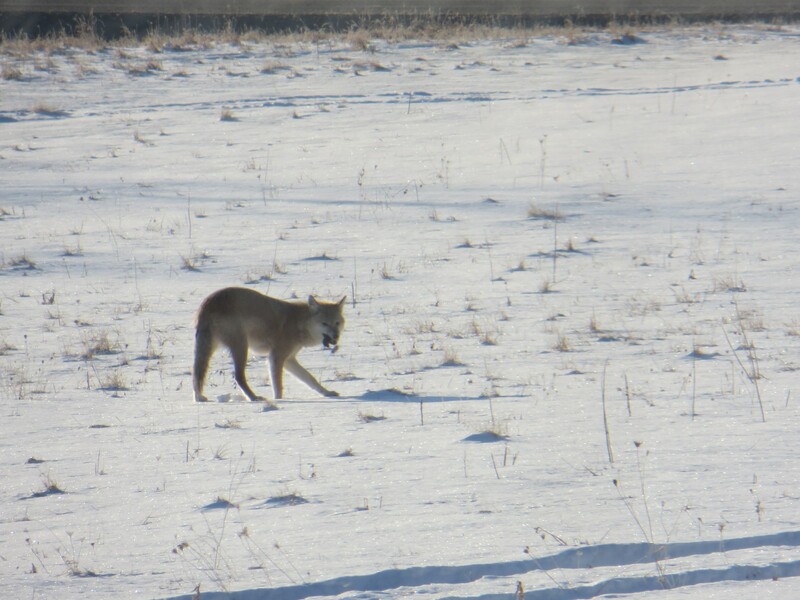 A pair of coyotes have now been hanging around our field for several days now. We see them early in the morning, hunting for mice and voles in the fields. They have been having a good go of it. I have watched them catch several. 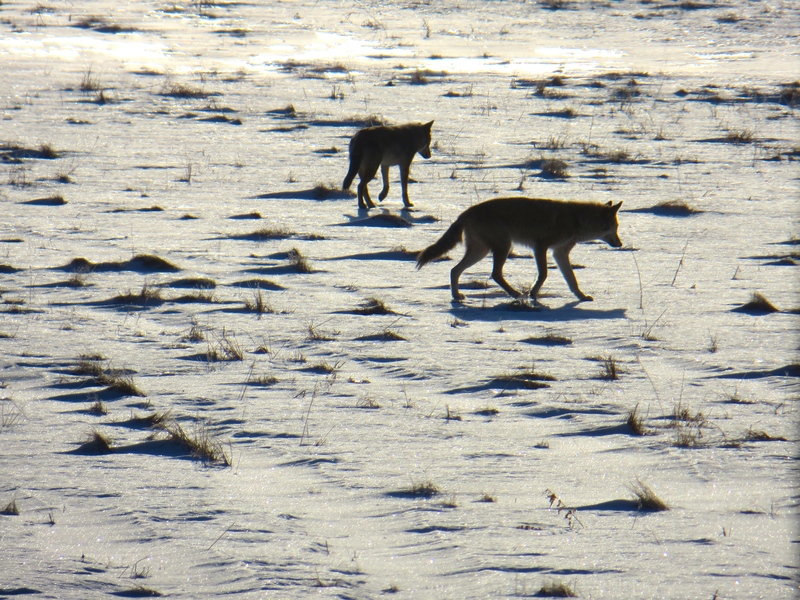 They walk quietly across the snow, listening. When one hears something under the snow, it leaps up pounces through the surface with its front paws, and then jams its snouts right down in it. Sometimes they come up with a small mammal in their jaws. They have been getting a little too close, however. They are beautiful creatures, no doubt. Watching them, even knowing they are there, is comforting. I like to know we still have predators about. But when they walk right next to the house I wonder if we might have a conflict at some point. I have walked out and made some noise now a couple of times. That scares them off, at least for now. They may den in the woods nearby this spring. This time of year is when they typically start seeking out sites for that, so we may be seeing them for a while. Then again, this may just be a good place to find a few meals for a while. I suppose we will find out over the next few weeks. 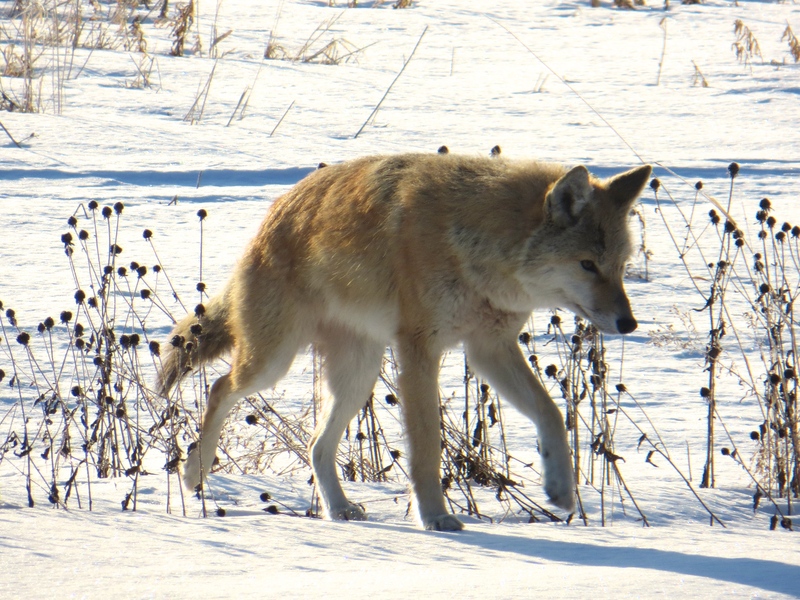 This entry was posted in Nature, Winter and tagged coyote, den, field, mice, vole, winter. Bookmark the permalink.